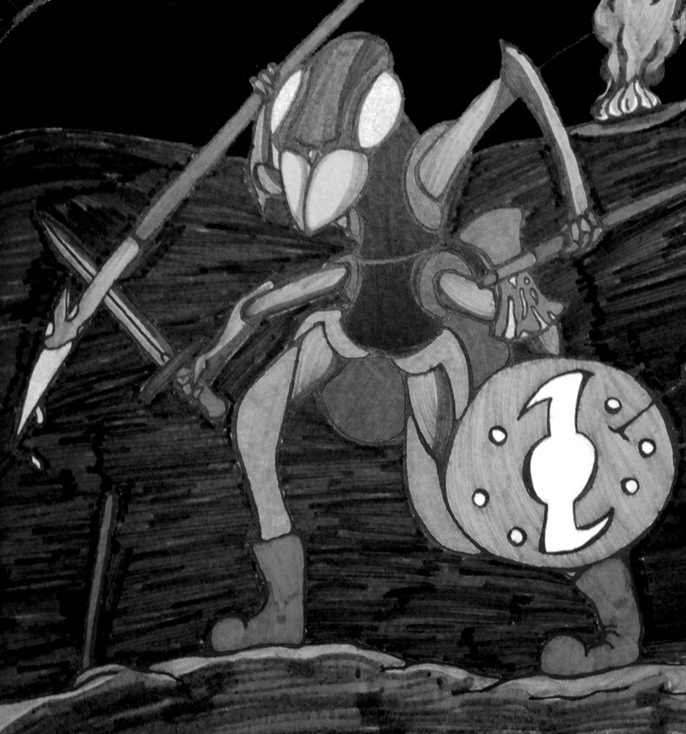 These mythical creatures were similar to army ants that were human size. They could carry and use four weapons at a time and use their large red eyes to see from all directions at once. They could easily crush a human soldier’s skull with their huge, powerful jaws. Just as ants, they were extremely organized and had no fear of death. Given the order, they would rush and eagerly enter any battle. Also, just as real ants, they never took any prisoners. The story goes that after a devastating plague killed off the entire population of the island of Aegina, the governing king begged his father (Zeus) to repopulate his Kingdom with its ants. This created an army of fierce and eager warriors that took direction from and remained loyal to this king. The king’s son, Peleus, took a group of these human-sized insects to the Greek city of Thessaly. The son of Peleus, Achilles even led this group of fierce warriors to battle in the legendary Trojan War. Our new artist on board has provided us with another awesome piece of art! Check out more of his work on his Facebook Fan page.